Breakfast – the most important meal of the day which is generally skipped by majority of people, especially the ones who belong to the clique of “CALORIE CONSCIOUS”. No matter how much you read about it or get suggestions by your dietician that it’s important to have your breakfast, numerous people just skip it because they are late or they don’t feel hungry or simply to avoid gorging on calorific eatables. Well, whatever the reason may be, there is no denying the fact that breakfast is really important. Let’s have a look at the stats and try to earn a big nod from all of the BREAKFAST HATERS. While we are sleeping, though the metabolism of our body drops down, the consumption of energy is still going on. Also the digestive system is waiting for food all armed with its juices and enzymes to begin the day with. So why not give the digestive system something ACTUALLY GOOD and healthy?? Green Juice – as the name suggests, is a vegetable based juice which is rich in enzymes and nutrients depending upon the vegetables used as ingredients in it. All you need is a good masticating juicer and your favorite green leafy vegetables. Just one glass with a hint of mint leaves, ginger, salt or lemon and you have a great breakfast to start your day with. Obviously one can think of readymade juices and much tastier and palpable fruit juices, but the fact still remains – SUGAR. The fruit juice is a great source of vitality and health, but their sugar content almost equals to Soda, which sure is a dietary concern. Also, the packed juices are not as nutritious as the freshly prepared ones. Conversely, the green juice is devoid of alarming sugar levels and is equally good for people of all age groups. Green juice doesn’t taste bad and can be flavored with natural flavoring agents too as per your choice. Comprising of nutrients and enzymes, green juice is the best way to kick off a healthy day without worrying over the calories you consumed or nutrients you missed. It is equally good for people with or without calorie concern. As the amount of sugar in green juice is very less, the decomposition rate is very slow and it can be stored too. But it is always good to have a fresh serving as making the juice will hardly take ten minutes. You can add celery, broccoli stems, spinach and other leafy vegetables and use other natural flavoring agents such as lemon and salt to add to its taste. Not only green juice enriches the vitality of body and organs, but it is effective for giving a particular nourishment and glow to your skin and hair. Green vegetables are rich in nutrients, Iron and other nutrients which make it whole lot more desirable. 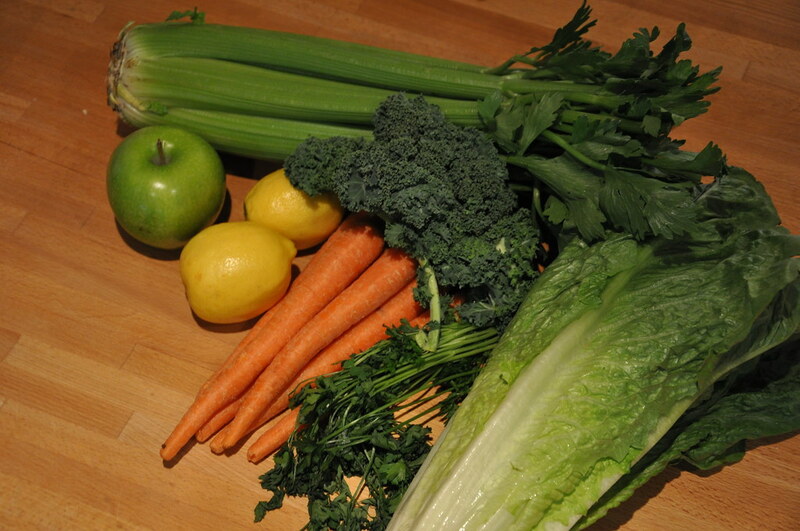 The water content of green juice is another characteristic which adds to its merit. It is a scientifically proven fact that having a breakfast rich in water content is a great way to start your day as it keeps our body hydrated. Water is good for tissue vitality and skin rejuvenation. Especially when it is summer time, having green juice in breakfast is a great way to prepare your body for the exsiccating day ahead. It may seem unlikely, but you can actually get used to it as it is friendly to your taste buds too. Cherries on top, you can add as many varieties of vegetables as you want and like to have your personal brand of nutrition shake. So, begin your day with a glass of green juice and as they say – Shake it upppp…!!! John is certified clinical nutritionist from Portland, Oregon. He blogs about juicers at BestJuicer.